Our admin office is open from 8am-6pm (NZ time) Monday to Friday and 10:00 – 1:00pm Saturdays (excluding public holidays), we are CLOSED on Sundays. To receive a final quote, please send your document(s) to Stephanie. The rate and the return time/date will be stated in the final quotation email. 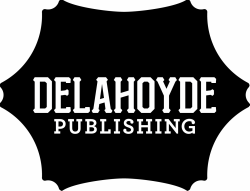 The return time/date will be effective from the time/date the email containing your document is received by Delahoyde Publishing. The final email quote will provide an expiry time by which the fee should be received. If the fee is received after the quote’s expiry time, the turnaround time will begin from the time/date that the fee is received. Please note that our proofreaders and admin staff do not work on NZ public holidays. If your document(s) is received on a day of closure, the quotation will be based on the time/date the admin office re-opens. Delahoyde Publishing will not be able to make comment on the academic accuracy of your document(s) and cannot guarantee a particular grade or acceptance by a journal. The document(s) will need to be at a sufficient level of English for the proofreader to be able to understand the general meaning of the text. Delahoyde Publishing will need to assess a sample of your work, or the document(s) to be proofread, before agreeing to begin the work. Once the document(s) is returned to you, if you require the document(s) to be proofread again the fee rate will become payable on the above terms. All work is completed under a strict policy of privacy and never disclosed to a third party. Please make sure that you send us the final version of the document that you wish to have proofread, as we cannot accept revised versions of the same document after payment has been received. There is a $5 minimum payment on any transaction. Please email all queries to Stephanie, or for general enquiries, please use the Contact Us page.